What does $1,700 rent you in Oakland, today? We've rounded up the latest rental listings via rental site Zumper to get a sense of what to expect when it comes to scoring a rental in Oakland with a budget of $1,700/month. Listed at $1,700/month, this 600-square-foot one-bedroom, one-bathroom is located at 2522 35th Ave. The unit features a mix of hardwood floors and carpeting, a stove, a breakfast bar, wooden cabinetry and granite countertops. Animals are not permitted. Assigned parking is offered as a building amenity. According to Walk Score, the area around this address is somewhat walkable, is relatively bikeable and offers many nearby public transportation options. Next, there's this studio situated at 1600 Third Ave. It's listed for $1,695/month. In the apartment, you can anticipate hardwood floors, closet space, bay windows, granite countertops, a ceiling fan and stainless steel appliances. One cat is permitted. The building offers secured entry, on-site laundry, bicycle parking and on-site management. Walk Score indicates that this location is friendly for those on foot, is convenient for biking and has good transit options. 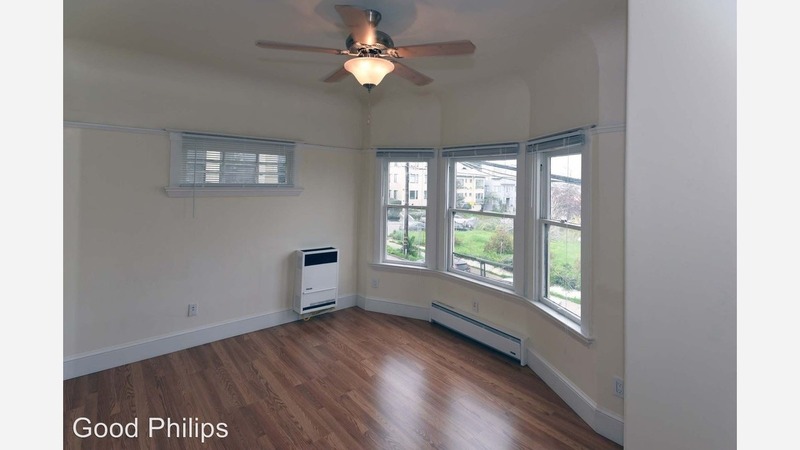 Here's a 700-square-foot one-bedroom, one-bathroom apartment at 2416 Kingsland Ave. that's also going for $1,695/month. The building offers assigned parking and on-site laundry. In the unit, you'll get hardwood floors, ceiling fans, wooden cabinetry, built-in storage features, a walk-in closet and wooden cabinetry. For those with furry friends in tow, know that cats and dogs are permitted on this property. Located at 1929 26th Ave., here's a 450-square-foot studio apartment that's listed for $1,649/month. When it comes to building amenities, anticipate on-site laundry and secured entry. The unit features hardwood floors, a flat screen TV, a fireplace, a ceiling fan and stainless steel appliances. Pet owners, inquire elsewhere: this spot doesn't allow cats or dogs. Walk Score indicates that this location is friendly for those on foot, is fairly bikeable and has good transit options. Listed at $1,625/month, this one-bedroom, one-bathroom is located at 5549 Foothill Blvd. In the apar, you can anticipate hardwood floors, a balcony, granite countertops, stainless steel appliances and built-in storage features. Neither cats nor dogs are welcome. On-site management is offered as a building amenity. According to Walk Score, this location is friendly for those on foot, is bikeable and offers many nearby public transportation options.